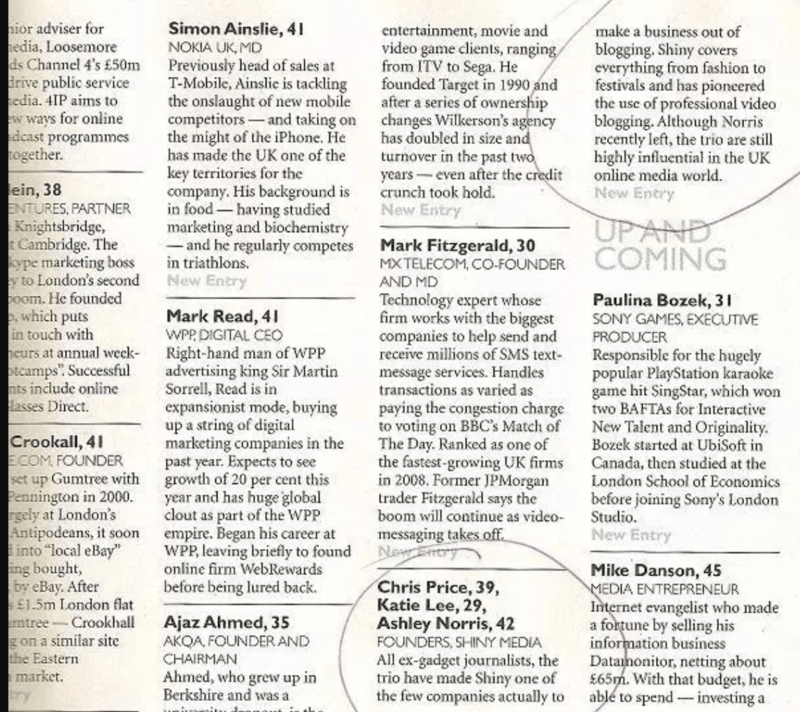 Ten years ago I was listed as one of London’s 1000 Most Influential People. Today, I’m not even the most influential person in my shed and I’m the only person in it. No really I am! There’s no way to say it without sounding like a massive fibber. I mean loved being at Shiny Media in its heyday. When I wasn’t trying to stifle my engulfing Imposter Syndrome, or chomping down antibiotics for stress-induced lymph-node infections, or having meetings with people who leave no box unticked on the Psychopath Checklist, it truly was the Best Time Ever. We employed brilliant people whose careers I follow with huge amounts of pride and awe. Sure, we didn’t get everything right (not even close), but the things we DID get right were entirely down to the clever, funny, kind, nerds and trailblazers who worked for us. So if it miss anything, it’s seeing those people every day. But the rest? I’m good thanks. I really miss all the radio stuff. I loved being on the radio. Why didn’t I try to get more radio work? It’s a lesson in grabbing opportunities when you get them. 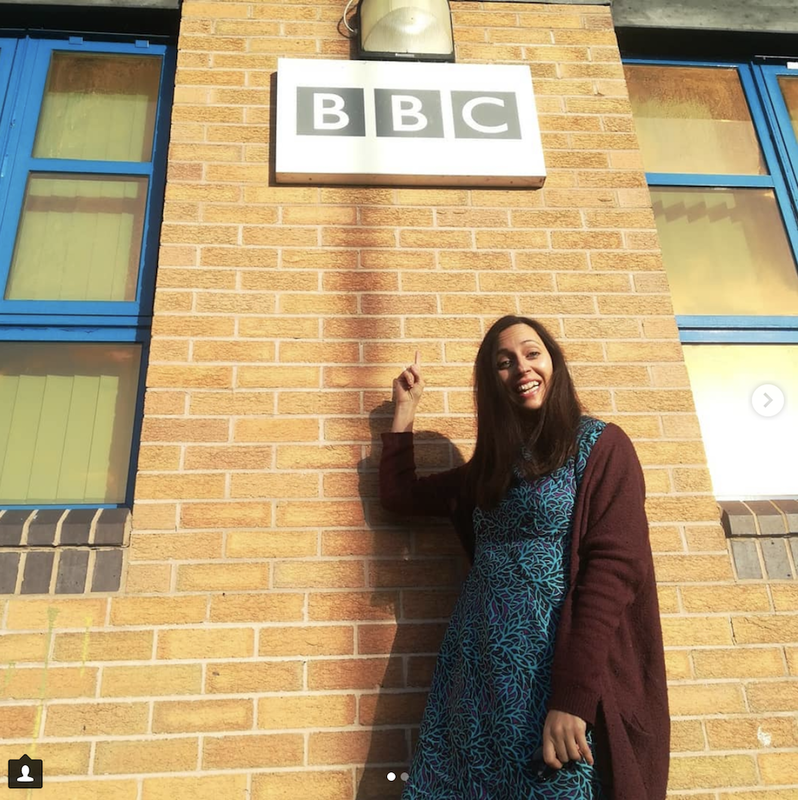 So when the lovely Jim Hawkins asked if famous children’s author and illustrator, Alex Milway and I wanted to go on his morning show to talk about our weird career paths, I booked a cottage in the hills, bought the kids some walking boots, and went back to my old hometown. If you’d like to listen, it starts about an hour in. It’s only available for another 11 days as of this post. PS. this blog post is the PERFECT example of how not to write. If I were editing this, I would remove the ENTIRE first section of the post. No one will read it, it’s completely irrelevant and you could cut nearly all of it with no loss of meaning (plus you’d lose the barely concealed brag about a decade-old glory that the author still clings to because it got her invited to Buckingham Palace to meet the Queen). But it’s MY blog and no one will read this anyway so I’m going to leave it right where it is. PPS. But seriously, try deleting your first three paragraphs of anything you write, it’s a top tip. PPPS. You could also delete these final 3 paragraphs . It’s been an incredibly exciting year for us. Amazing, in fact. Why’s that, you ask? Well, I’ll tell you. Back in October 2017, we met the extremely lovely people at Zodiak. They asked us to develop a children’s comedy drama series for them. We shook ourselves to check we were definitely awake, successfully resisted the urge to run over and kiss them jubilantly, and calmly accepted their offer. I’m still unclear how much we are allowed to say about it all. So for the time being I’ll just say that it’s been the most amazing experience, we absolutely loved working on the project, and we hope you’ll be hearing a lot more about it one day! I got shortlisted for the Funny Women Awards Comedy Writing Award! Blimey, it’s all kicking off this month, isn’ t it?! 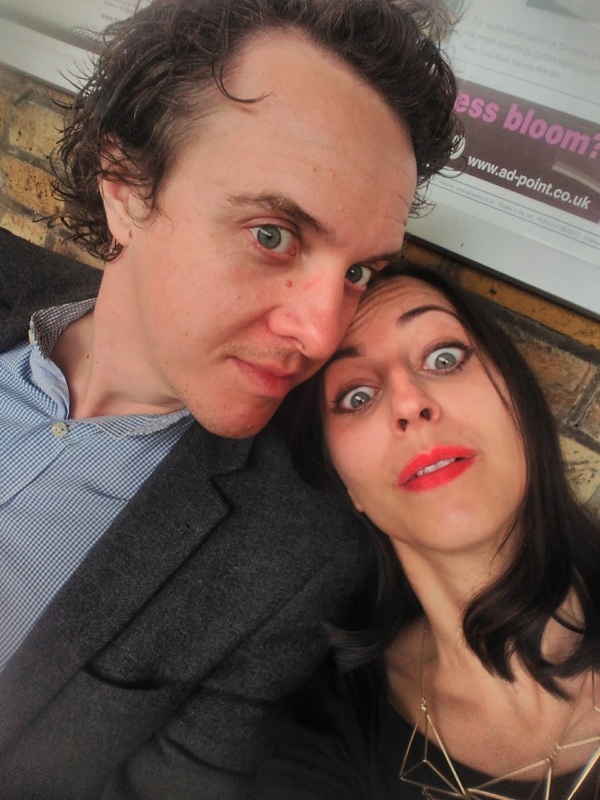 So you know how I mentioned I entered my first every script – Mum-Life Crisis – into the BAFTA Rocliffe Comedy Award and didn’t get anywhere? Well, after they gave me so much helpful and brilliant feedback, I reworked it and sent it to a production company. They were very nice about it and gave me even more helpful feedback. So I reworked it again and entered it into the Funny Women Awards. And they shortlisted me! I didn’t get to bask in glory for long though – they let me know the next day that I didn’t make the final. But STILL! 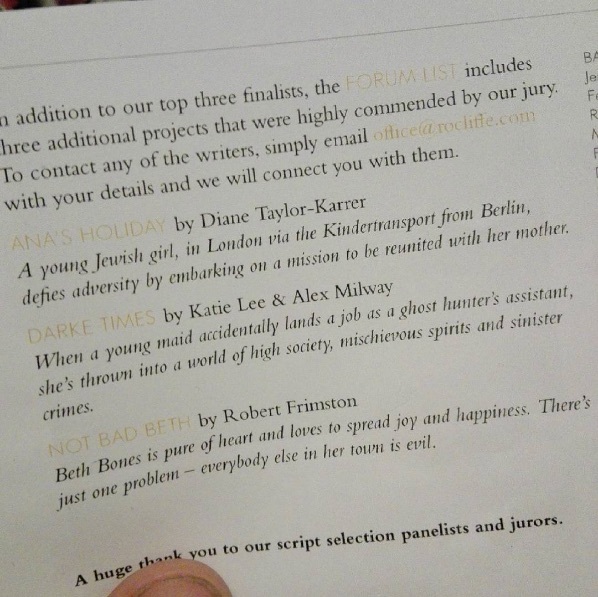 I’m still high on making it onto the BAFTA Rocliffe Children’s Media Forum with my second script (co-written with Alex Milway) and then I go and get shortlisted for Funny Women with my first script! It’s all too much. How will I cope next month when I don’t get shortlisted for something? Life will seem hollow and empty without all this external validation. We got Forum listed in the BAFTA Rocliffe Children’s Media Award! 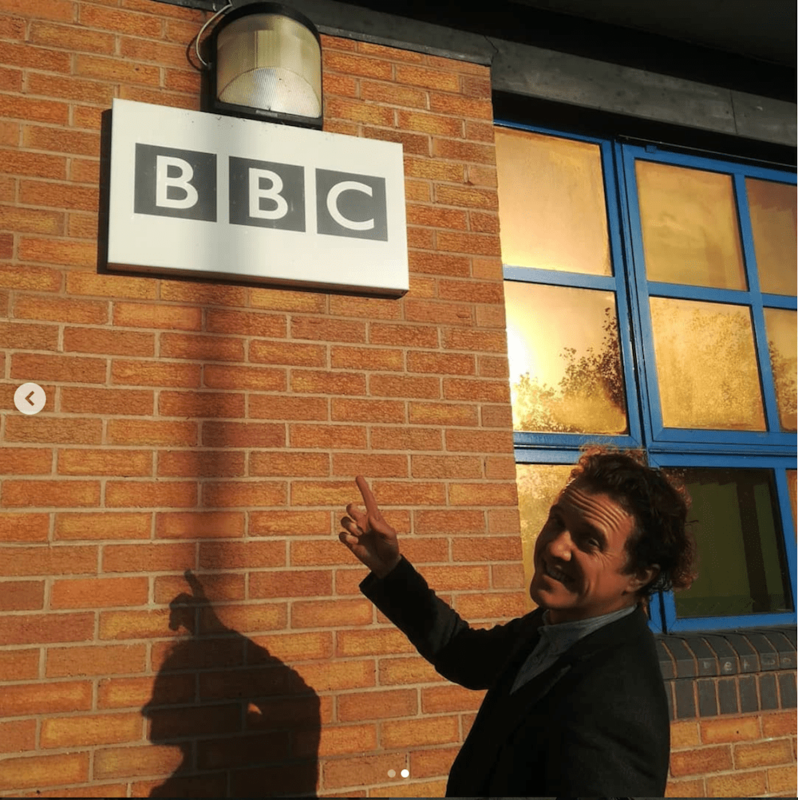 At the start of the year I entered my first ever script – an ante-natal sitcom inspired by my ecourse/book – into the BAFTA Rocliffe Comedy Award. I didn’t get anywhere with it, but the feedback they gave me was so helpful and positive that I felt brilliant. I wish I’d done it sooner! As I entered it, I saw the deadline for the Children’s Media competition was a few months away. So I sent my husband this email. (Even when you’ve been together for 20 years, asking someone to co-write with you is a strangely vulnerable experience). It became my pants drawer shame space. So then we spent the weekend letting the children binge watch Clifford The Big Red Dog while we worked on our script. Ok, so we didn’t make it into the Showcase (which is where the perform your script at BAFTA in front of an audience and then industry bods critique it while you sweat), but we are on the Forum List which goes out to the industry! So thank you Alex Milway! And what’s the moral of this story? Well, if you ever thought, “Hmm, I really want to write scripts,” but haven’t got round to it yet. Pull your finger out and JUST DO IT. Don’t live with a pants drawer shame space. You’re better than that.